Vertigo and neck pain can be related symptomatic patterns in many patients and can come from 2 primary source processes, with other possibilities occurring in rare instances. Vertigo is a scary symptom to experience and can force any patient to seek emergency care at a local hospital when it first strikes. In fact, many patients feel as if they have some serious health issue when they are stricken with sudden acute vertigo. I mirror this terrifying experience in my own symptomatic history. The worst part about suffering from vertigo, in relation to neck ache, is that the association often cannot be proven, but only speculated upon. This is because research is rather lacking in this field, with only a few physicians specializing in upper cervical conditions that cause the types of dizziness, headaches, surging, nausea and neurological expressions that typically embody these patient profiles. This report focuses on helping patients to better understand the symptoms of neck pain and vertigo. We will examine the 2 primary causes of both expressions, as well as touch on the other possible origins in select patient circumstances. In this commentary, I will also share aspects of my own frightening vertigo experiences. Vertigo describes a feeling of dizziness, neurological surging inside the head, unsteadiness and being “out of phase” with life. This feeling can come on gradually, but often occurs spontaneously, with horrifying consequences. 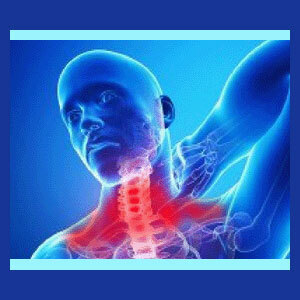 Neck pain may occur first, followed by vertigo, or pain may set in after the neurological symptoms begin. In most patients, the neck pain is a chronic concern and the vertigo begins abruptly at some point and may continue for minutes, hours or indefinitely, in patterned or unpredictable expressions. The very first time I was stricken with vertigo, I was in the middle of a workout and felt a terrible surge when I turned my head to the left, almost causing me to black out. I suffered a blinding light inside my head, behind my left eye, and a sensation of surging noise in my left ear. It was as if my brain turned off for a moment, then restarted. If it was just one event, the problem would have not been so bad. However, the initial symptoms resolved quickly, then recurred a few months later and continued acutely for days without end, for months in a slightly diminished state and then for over a year with decreased severity. Emergency room physicians diagnosed vertigo and did not know what to make of the problem. There was no inquiry as to any spinal issues that I might suffer from and CT scans showed no abnormalities in the brain. I was released from the ER with no clue as to what was wrong with me. The chief physician even apologized, saying they had no idea of the causative process. This was utter frustration. Months of testing offered no definitive answers, but my own research put me in contact with a specialist who reviewed my spinal films and concluded that my uppermost cervical disc herniation was likely to be the root cause. The 2 primary causes of both neck pain and vertigo include inner ear concerns and upper cervical spinal problems. Inner ear concerns, such as infections and tumors, can cause pain behind the ear, on the upper side of the neck. These conditions can also lead to acute vertigo, especially consisting of dizziness and balance disorders. In virtually every case, these types of conditions will be easily diagnosed and treated, relieving all symptoms within a short timeframe. The other common causation of both sets of symptoms includes a variety of pathological upper cervical spinal concerns that can cause foraminal or central stenosis. These conditions range from the worst intervertebral disc pathologies, to age-related stenosis, to vertebral injury and misalignment, to atypical cervical spinal curvatures. Regardless of the root origin, the stenosis impacts neurological tissue that can lead to the vertigo presentation. Only a few doctors specialize in upper cervical stenosis concerns and the less common associated symptoms, such as vertigo. The least often seen causations of neck pain and vertigo include tumors in the inner ear, tumors on the upper spinal cord, tumors on the brain or within the spinal membranes, circulatory concerns, as well as some particular diseases processes. Some patients might have chronic neck pain and may suffer an acute unrelated attack of vertigo from any of these above circumstances, such as an ear infection, or may suffer vertigo from purely mindbody issues or acute anxiety. The last point made in the previous section is a very important point to consider for some patients. Although proving a psychogenic causation for one or both symptoms might be difficult, there seems to be a correlation in many patients to mindbody source processes. Vertigo and neck pain can both be caused by mindbody interactions, as can either manifestation as individual entities. For patients who can not find valid and verifiable explanations for one or both symptoms, the possibility of a psychosomatic link should be explored. I certainly discovered that some emotional factors exacerbated my vertigo, in particular, and I spent months using purely mindbody methods of symptomatic reduction, with ever-growing effectiveness. Now, I still occasionally get slight recurrences of the vertigo symptoms, particularly when I am emotionally-troubled about something and when turning my head suddenly or changing my visual perspective often. I no longer fear the condition and in fact, use it as a warning sign that something is lurking psychologically under the conscious surface, immediately calling my attention to discover and address the problem.